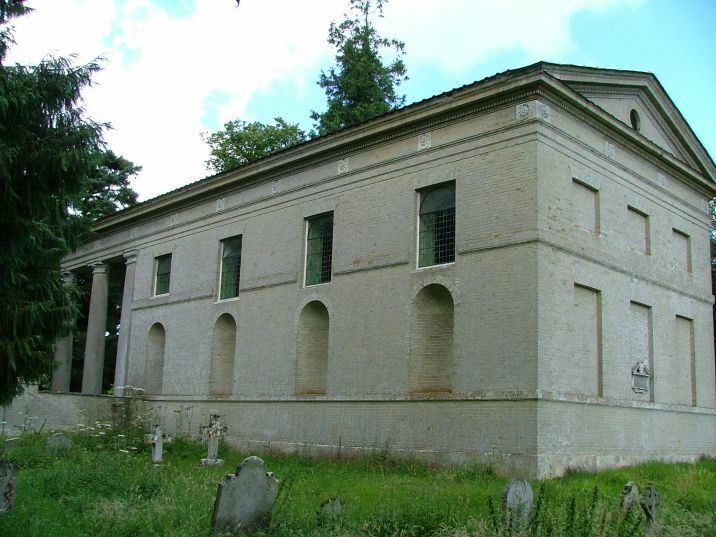 I was looking forward to the challenge of this church, because several people had told me how hard it was to find, and I knew someone for whom this was one of the few churches in Norfolk that they'd never visited, simply because they hadn't found it yet. There is no Gunton village. 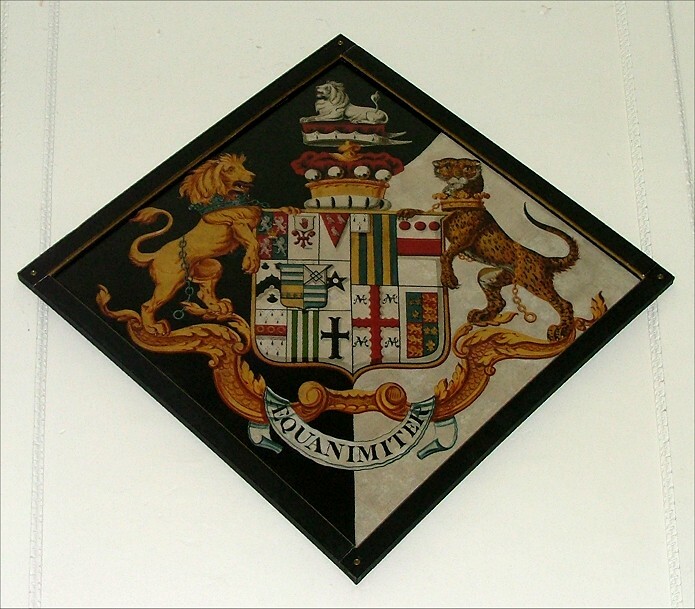 St Andrew is in the grounds of Gunton Hall, one of those 18th century palaces that the seriously rich built themselves near the Norfolk coast, in the middle of a large wooded estate with a deer park, a fishing lake and coverts for pheasant shooting. By the 19th century, the estate even had its own railway station, which has been pleasingly preserved on the Sheringham to Norwich line, and is still in use. How idyllic life must have been for the families in the Big Houses! I imagine it must have made the other 99% of the population pretty grumpy, until they learned to tug their forelocks and draw their wages; but nowadays in any case the house has been converted into flats, and the fishing lake is open to outside users for a fiver a head a day. There is still a deer park, always an uplifting sight on a sunny day I find, not least because of the promise of venison stew to come on those long winter nights. But I digress. This was one of the two estate churches Tom and I were visiting on our two day crawl around the Cromer and Aylsham area, the other being neighbouring Felbrigg, which we had visited on day one. But to complete the set, we would have to find St Andrew first. The lane from Suffield was pleasingly overshadowed by the trees of the forest, and eventually we reached a grand gateway. 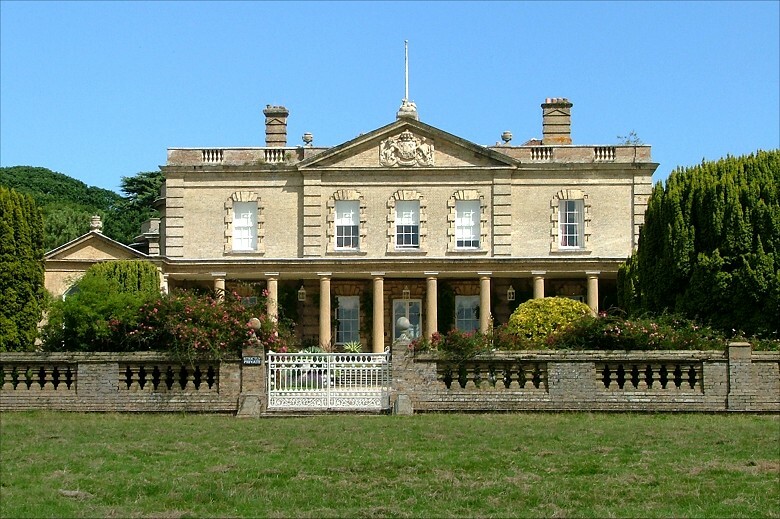 This is Hanworth Lodge, and a big sign said Private, No Entrance. It directed us to another way in by the sawmill a few hundred metres to the east; this brought us to the fishing lake, and then round to the back of the Lodge. It was quite clear that we could have used the lodge gateway after all, if it hadn't been for that tiresome English habit of obeying official signs. We followed the road around to the north side of the lake, and Gunton Hall came into view ahead of us. 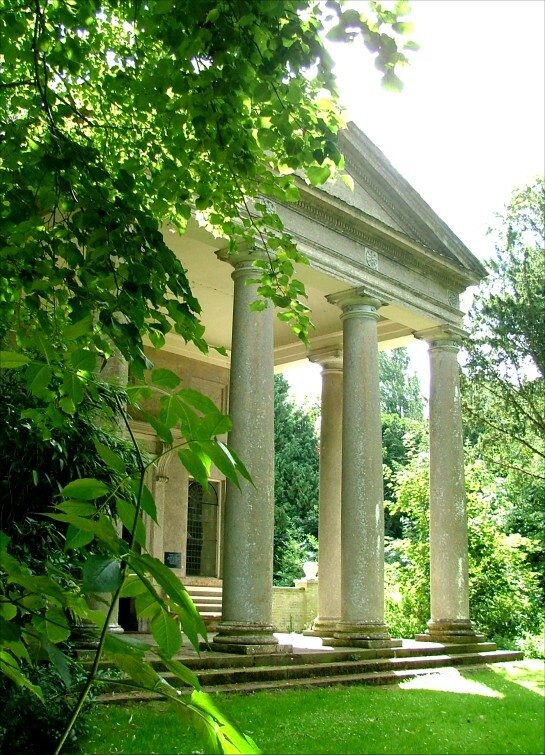 It was built in the 1740s for Sir William Harbord. 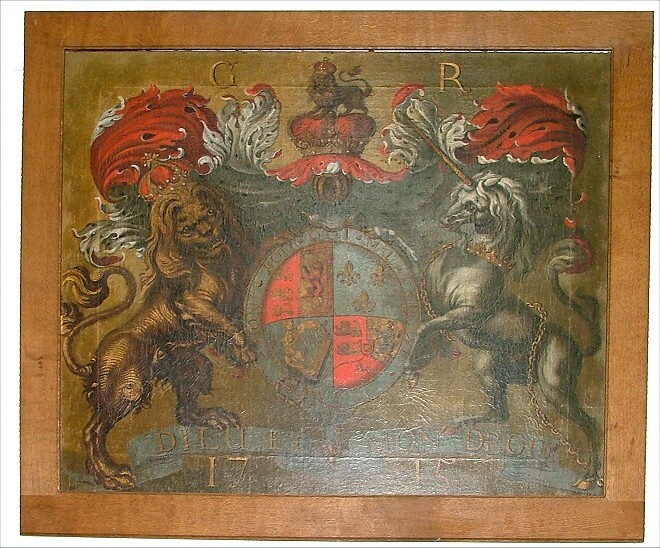 The Harbord family had owned the estate since the 1670s, and there was an earlier house of which no trace remains. 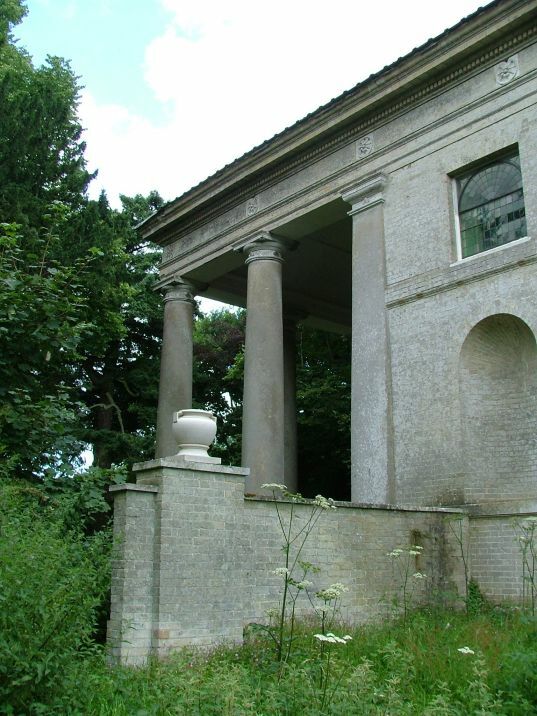 The architect here was Matthew Brettingham who had also worked on the refurbishment of neighbouring Felbrigg Hall. Work continued under the Wyatts for the splendidly named Sir Harbord Harbord, first Lord Suffield, who inherited in 1770. They probably used the plans of an even more famous architect, as we shall see. The House and estate thrived in the 19th century, until one night in 1882 when the Hall was entirely gutted by fire. It then lay derelict for a century, before the shell was filled in with apartments. It is done really well - you would never know about the fire. 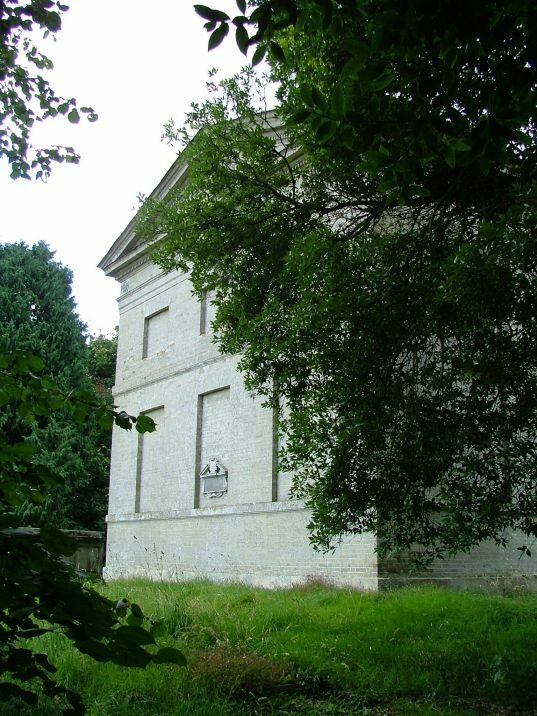 We headed along the path that ran along the south front, the main frontage of the hall. Another sign said Private, No Entrance, but this time we ignored it; we knew that the church should be to the east of the Hall, because the OS map said so. All we could see beyond the hall was a jungle of cedars and rhododendrons. We passed a curious structure which turned out to be a Georgian observatory, and then we were heading past the magnificent frontage of the Hall, and we pulled into a hard standing area just beyond it. A cattle grid led into the jungle, and, about 20m further on at a junction between paths, the sign you can see at the start of this piece urged us on into a small, sunlit glade. 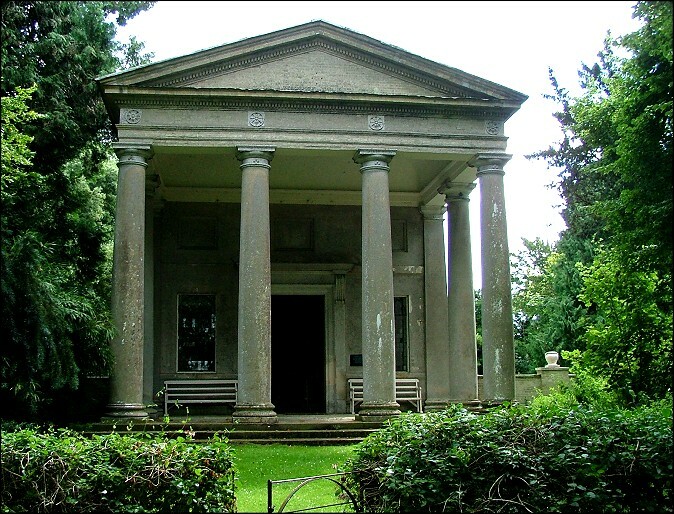 Here, dappled by oaks, elms and the ubiquitous cedars, was the west frontage of St Andrew, a grand, 18th century Doric temple. The architect was the great Robert Adam. 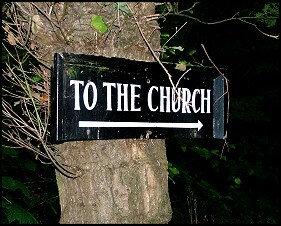 It is his only church, and as far as I know his only work in Norfolk. 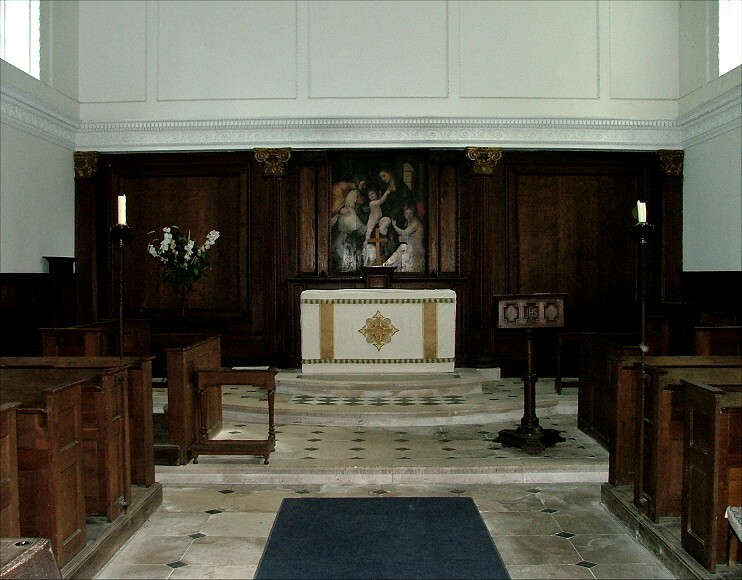 He was commissioned by Sir William Harbord in 1767 to build this replacement for the derelict medieval church which had been demolished a few years earlier. It was built under the reign of Sir Harbord Harbord, and Adam also seems to have drawn up a set of plans for a modernisation of the exterior of the Hall. 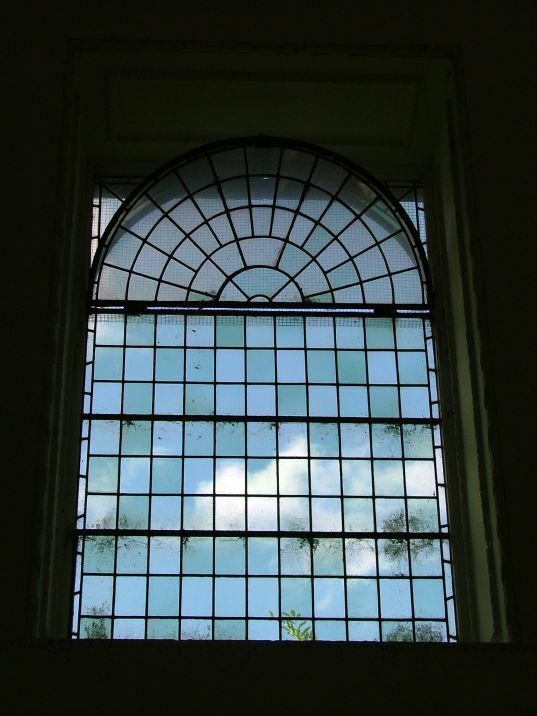 Nothing came of these, but it seems likely that the Wyatts had access to them for their refurbishment of the 1780s. I'm not the world's greatest fan of classical architecture, but St Andrew is so crisp, so light and intelligent, and also so pretty in its setting, that I could not help but love it. 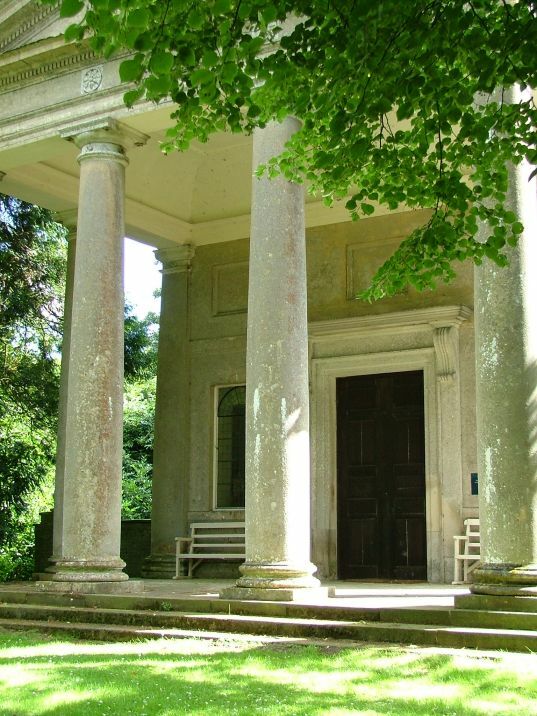 Fully a third of the site is taken up by the wide open entrance portico, as if it was fronting Covent Garden Market rather than being lost in a remote Norfolk wood. 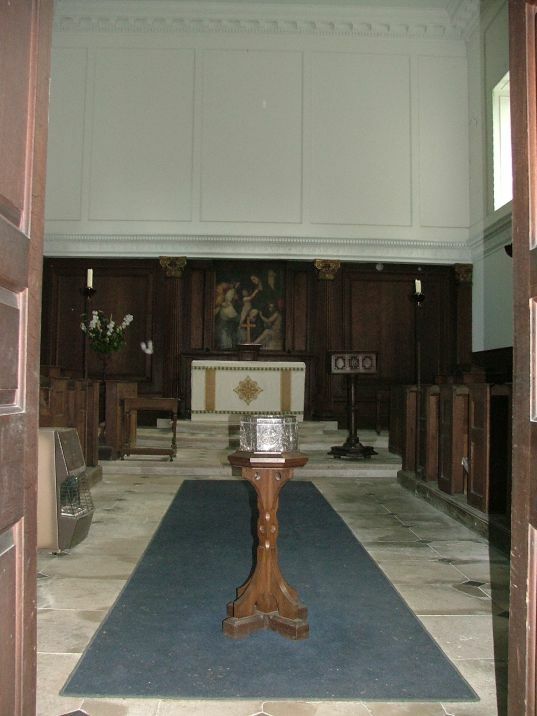 The walls are lined by large blank niches with open clerestories above, four pairs on each side; there are more blank windows at the east end, and a reset 17th century memorial. Obviosly, I didn't expect the church to be open - St Andrew is now in the care of the Churches Conservation Trust, and many of their churches are kept locked in Norfolk - but it was. We pushed open the tall, heavy doors, the smell of City of London churches making the illusion of an urban building complete. 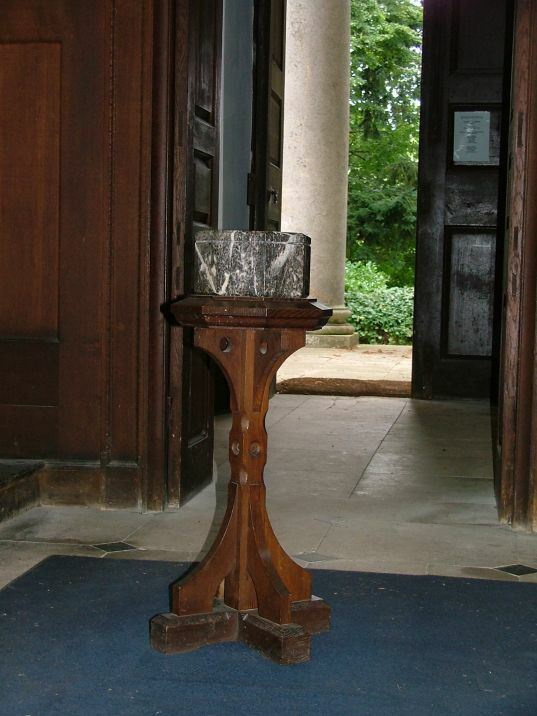 A tiny little font on a wooden stand greeted us, and then a perfect city church, or perhaps a college chapel stretched beyond. 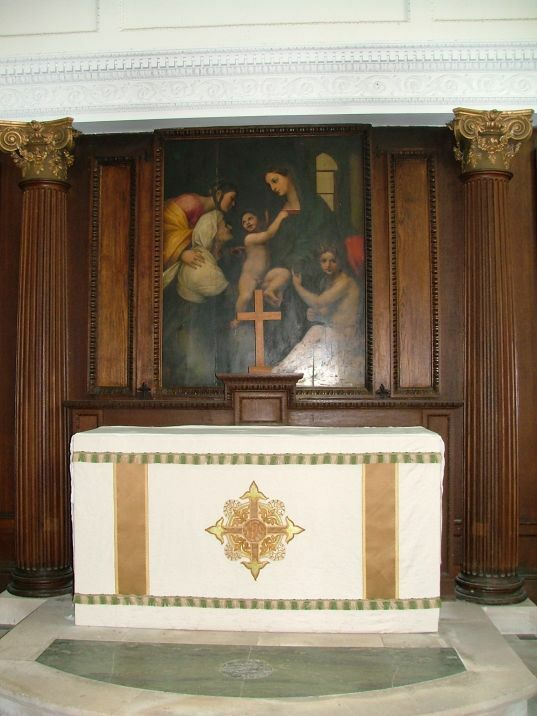 Until the 19th century the benches faced inwards, but now they face east towards the reredos which features a painting of St Anne with the Virgin and Child. 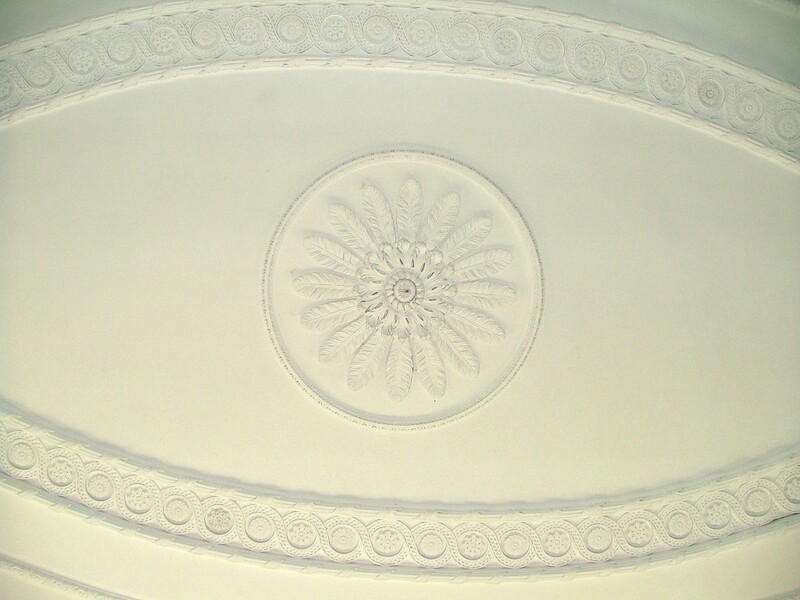 Above, a roof like wedding cake, a modern replacement for the one that collapsed in the 1970s. 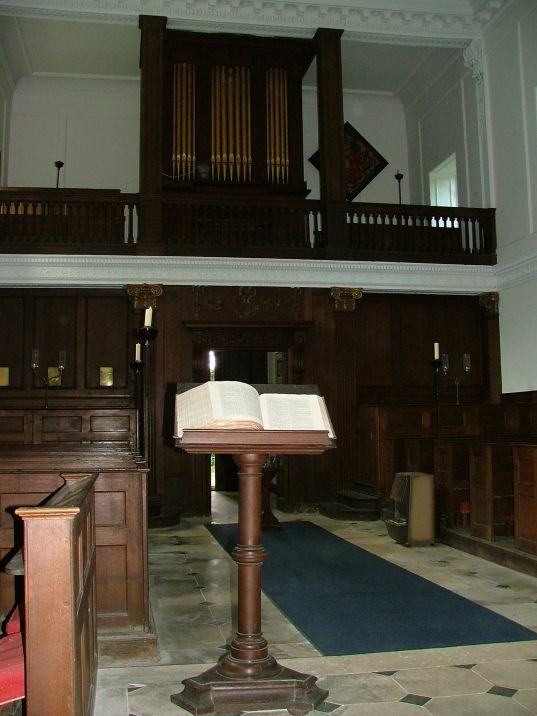 Facing west, the organ gallery, and along the walls hatchments and a royal arms for George I. 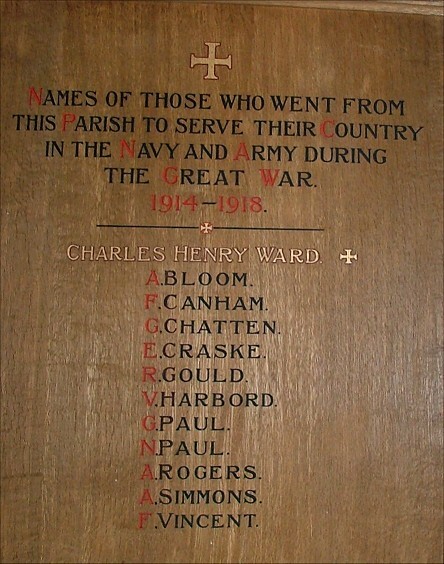 The war memorial is particularly moving, given that it records workers on the estate who lost their lives. It is a cool, peaceful place. A delight, if you are dogged enough. I was a little surprised to open the visitors book and see an entry for almost every day of the summer - I wondered how small a proportion this was of those who would come if they could only find it.